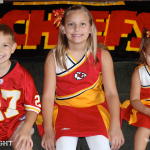 Do homeschoolers need to teach organizational skills? May. 26, 2011 Tags: Sarita's Word. I read this article and wanted to share it with you: Do homeschoolers need to teach organizational skills? 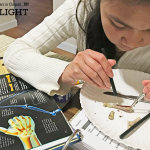 https://blog.sonlight.com/please-chime-in-do-homeschoolers-need-to-teach-organizational-skills.html. I asked my staff a question recently, and I'd love to hear what you think, too. 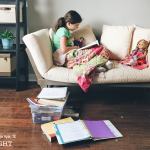 Do homeschoolers need to teach organizational skills to their children? Is there something Sonlight can or should do to facilitate this? I've always been an organized person. I naturally "give a place to everything and put everything in its place." But not all my children learned from my example or inherited this trait! One of my children seems unorganized. When he was young, I thought he was just messy. Then in his high school years, he kept nearly everything he owned in a jumbled heap in the trunk of his car; I just attributed it to messiness with a touch of laziness. But I've since realized: it wasn't that he didn't care. My son truly lacked some important life skills. If I had taught him organizational skills, they probably could have helped him immensely in his high school and college years. I just finished an interesting book about this very topic: The Organized Student: Teaching Children the Skills for Success in School and Beyond, by Donna Goldberg and Jennifer Zwiebel. It chronicles how they help disorganized public school students develop the skills they need to make it through school and beyond. The authors say that disorganized students in public schools fear they won't have what they need, so they carry it all on their backs. When the teacher asks for a completed assignment or permission slip, students just rifle through their backpacks hoping the right paper will appear. In grade school, these kids function OK because their teachers do so much to manage the paper shuffle. In junior high, these students start to struggle. They have multiple teachers with many subjects and no one holding their hand anymore. If they don't get help in junior high, they can really fall behind in high school. Not because they're lazy or unintelligent, but because they lack organizational skills. I read this and thought, Wow! Are we doing our homeschooled kids a disservice? So often in a homeschool, mom keeps track of every paper, cleans up the school area and makes sure everything gets put back into its place. Students aren't naturally forced to develop organizational systems. But when students go off to college (or jobs or any other calling), they must keep track of assignments, papers and all sorts of stuff. And, one day they'll have an entire house or apartment to organize. With bills, doctor's appointments and car insurance to keep track of, do they have the skills they need? I really don't know the answer, so I'm asking you: What have you observed in your homeschool? Do your kids naturally know how to be organized? Do you teach organizational skills? Would you like to teach those skills? Is there a product or service that would help you teach organization? I promise I'm not asking this to make you feel guilty. The last thing most homeschool moms need is another area to worry about. But if this is a legitimate area of need, I'd love to be able to help somehow. So please, share your thoughts. I'm eager to hear what you think. "Dear Sarita, Why did you choose that book?" I, personally, would love to have something--a product, a book, software-- anything to help me teach my children organizational skills. I don't know what kind of product it would take, but we could definitely use help in that area. I spend a lot of time worrying about how my son(s) will function when they don't have me to shuffle their papers or tell them what's next. It can be done. It should be done. I have no proof that my "slow and steady" approach will yield great results ... but I'm thinking it's better than nothing. Some of my children are naturally organized. Some are not. I would love to figure out a way to teach them organization. I'm sure I'd learn a lot myself! I'm beginning to realize that responsibility and organization are two different things. My kids tend to be very responsible for their schoolwork. They have a planner, they follow the list, they hand in their schoolwork to be checked. But their schoolwork isn't really organized. And a couple of them have a hard time organizing their time. I, for one, am as unorganized as both my children are. One natural fixer of things every where but at home. I need something to teach me so I can teach my children to be organized. Also, I am a mighty list maker so I don't need something that teaches me that. Please Sonlight help! Based on my experiences, I suspect that some kids need to be taught these skills while others will develop them without much help, regardless of how they are schooled. So I guess my answer to the title question is No, at least not any more or less than non-homeschoolers do. If anything, I would think that homeschooled kids are less likely to need formal teaching, because they are more likely to see the creation of individualized organizational systems and to hear the rationale behind the systems. I think something like that would help us out so much! I try to make my kids responsible for their papers, books, etc... but often they can't remember where they put them, even if they have a specific place things are supposed to go. Hi! My son, Elf, recently returned to public school after 4 1/2 years at home. I have always had English go here, maths here, pencils here and so on. Which was great... until Elf had to remember homework, remember to bring pencils back and forth, remember his lunch. See... at home, you just put it on the shelf. SO many more steps at a school away from home. Yes, we teach organizational skills in our homeschool. My favorite by far has been the use of those fabulous canvas Sonlight bags. Each of our children has one. They are to carry their school materials in them. We have one as well that carries the IG's etc... Our bag is always packed and ready to school in any room, vehicle or state we want. If we move locations during the day, each child must pick up their belongings and place them in their bag and we move on. Another thing we have done is to use different styles of folders each year. For example the first year each child used a composition book for all of their schoolwork. the second year we used individual notebooks for each subject. The third year we used looseleaf paper in one big notebook. The fourth year we used looseleaf paper and individual smaller notebooks. The fifth year we knew which student worked best with which form of organization and we used the appropriate method for each individual child. It sure helps the sanity when you are organized and makes our homeschool hours far more efficient. Going on our tenth core and loving it! Will you have one for adults? Truely, all I know about organisation has been learnt from books. I have no organisational talent whatsoever. And my boys are suffering from the same thing. It's one thing to learn with blood sweat and tears to put things away, but it's another to teach it to someone else - someone who needs to learn their own methods to deal with their own stuff. There is a website called "Titus2.com" which sells some books called "Managers of their Homes" (for parents) and "Managers of their Chores" (for teaching kids to do so). I am wondering if these would help with teaching organizational skills. Anybody know? I've also read The Organized Student and thought it was a great help. Even in homeschooling, it's possible to see which of your children might have organizational issues when they are frequently misplacing papers. I think organization is an important skill although I'm not sure how it's taught to those to whom it doesn't come naturally. And so many facets of organization are specific to your space so help has to be high level enough that you can visualize it in your home or space. As an example, The Organized Student authors recommend a file box for each of your students but our house won't accommodate that and all the great Sonlight books too! I would definitely appreciate some help in this area. I have one child who's a natural. The other one knows what he's doing, but has a hard time with the details--like turning papers in or putting things away. I think it would be hard to find a curriculum that would fit everyone, but maybe a list of ideas or guidelines, like the skills list in the appendix. A list could include: consistantly puts heading on assignments, ability to find an assignment in his notebook when asked, take charge of organizing his own timeline figures, ownership of lesson plan--manage time and assignments with check points on Wednesday and Friday (before he leaves the house for fun group activities). YES, YES, YES. If Sonlight can help me (I need to get organized first!) then I can teach my children. Absolutely yes please!!! Until you've pointed it out I didn't actually realize that THAT'S IT! That's why I struggle so much myself, I just knew I have a problem. Organizing just doesn't come naturally to me. Yes, I have my own system and oh I've tried to implement what others have tried to advise me, but it's so HARD when it doesn't come naturally. In all honesty, my own system is more like organized chaos. Unfortunately my husband's much the same and our kids are no better. We each have an area where we are fairly organized but we just cannot seem to implement it in EVERY area of our life. I often tell my kids that it's ridiculous how much time we spend on searching for stuff. I have no idea how you could help. Could a few pointers be good enough? Would reading a book really get me into a new gear? I absolutely know it would require some work on my part and learning new habits but whatever it is, I need it. My family needs it!